The SPPG is a patient group that has been established for over 10 years. The aim of the group is to give the patients of Springfield more say and scrutiny over the services you receive from the surgery. It is run by patient volunteers, who work closely with the doctors and staff at Springfield, to make real changes within the practice that truly reflect the needs of the patients. The group is always looking for new members, and no special skills or qualities are required. Everyone has valuable experiences and opinions which are useful to the group. 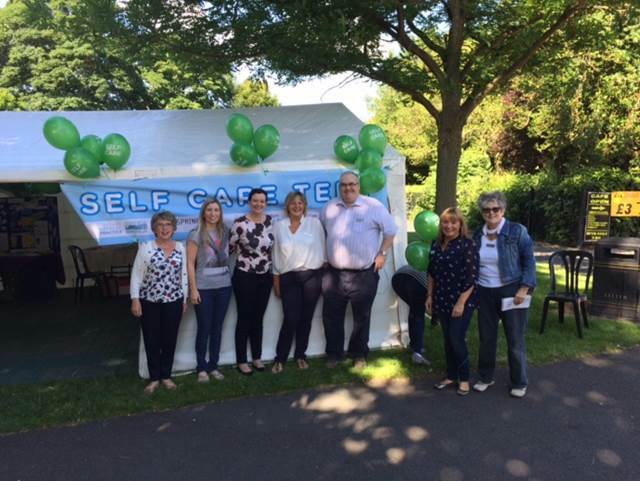 In 2015 members of SPPG got together with other practices to organise a stand at the Bingley Show. External organisations joined them, including Carers Resource.There was an emphasis on healthy eating, and BP and pulse checks were offered. Several people were found to have irregular pulses and were referred on to their GP. The group, led by Carolyn Williams, have set up training workshops in conjunction with the British Heart Foundation. Anyone may find themselves in a situation where somebody nearby collapses. Knowing how to give CPR can save a life until the paramedics arrive. SPPG identified a gap in mental health services, and the benefits alternative therapies can have. Springfield Surgery has teamed up with "Champions Show The Way" (part of Bradford District Care Trust) and launched the 'Feel Good Group'. The group is focused around promoting positive emotional well being by exploring Relaxation, Mindfulness and Art Techniques. The group is open to Springfield patients and the wider community and meet on Thursdays (10.30 am - 12.30 pm) at Canalside Health Care Centre. For more information please call 01274 321911. The annual flu-clinics have in the past been somewhat of a bunfight! Coordinating hundreds of patients, all who need an injection within a tight timescale, on top of the "day-to-day" patients needing to be seen, is tricky. And in the past we've had a few complaints. The SPPG got involved to meet-and-greet and coordinate patients and clinics on the day. This has had a huge impact on the efficiency and success of the flu clinics.